For 7 documented seasons, Bald Eagle pair “Romeo” and “Juliet” have returned to their nest high atop a Longleaf Pine tree to renew their bond and raise a new family of eaglets. 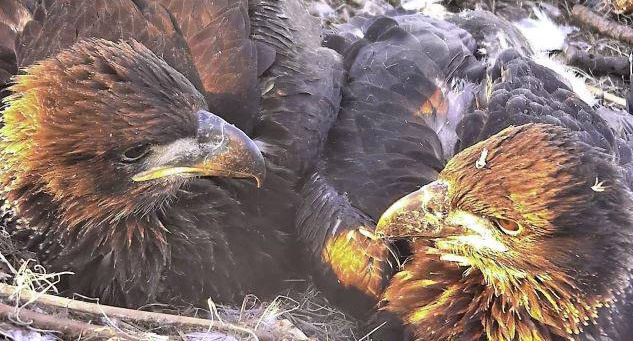 This year, a second HD camera was added (for a total of 3 HD cams on the nest), allowing for unparalled views in the daily life of these eagles. Hundreds of thousands of viewers watched all the activities in the nest. On Dec. 23, 2014, the first egg hatched and was soon followed by the second egg, which hatched on Christmas Day. 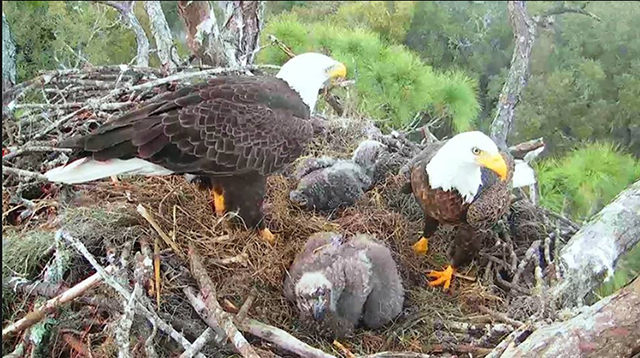 A contest was held for AEF members to “Name the Nestlings.” 360 members entered the contest. The named pairs were narrowed down to 5, and then the entire membership was allowed to vote for their favorite selection. “Nick” and “Noel” were the winning names– appropriate for the Christmas season in which they were hatched. The gender of the eaglets is never certain. However, when they reach full-size at 10 weeks old, there are certain indicators (including size), which provide evidence to make a good educated guess as to whether they are male or female. We do know that both were strong, healthy eaglets, and learned skills they will need to be successful in the wild. Nick & Noel – 7 weeks old. Several classrooms across the country found us and arranged for private educational chats”with AEF’s knowledgeable moderators and expert cam operators. The ages of the students have ranged from 4 years old to high school. Teachers submitted questions in advance to our Classroom Coordinator, Gretchen Butler, who in turned shared them with the moderators so they could be ready to quickly answer all the questions and be prepared to post informative links, including videos. The cam operator is an integral part of this virtual classroom, and pays close attention to the topic so that the camera can show the students specifically what is being discussed. It has been extremely gratifying to hear how the students and their teachers have responded to this experience. Many regular visitors to our chat forum “perch” (watch but do not chat) during these private chats and learn along with the students. way up in the tree. my heart lets out a sigh. Don’t you know that you can fly? Your wings will stand the test. to see you soaring high? but you, you own the sky! I would launch into the blue. (But wait! One’s perched upon the edge! It leans into the breeze! You’re such a little tease. your wings are sure and strong. “When will you learn to soar? I know that you are ready. or in a tree top high. on lifting winds I fly. to sing my victory song. 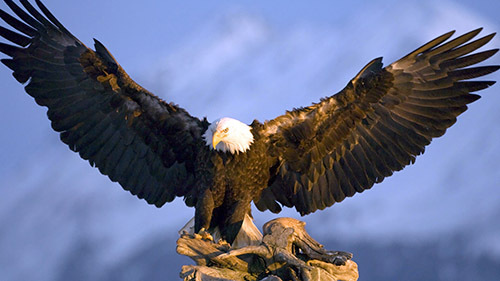 By strength of wing will soar on high. to glide beyond restricting Earth. My place in Nature is secure. I’m viewed now with respect. I fly with no regret. Each battle fought, she’s won. But not a word aloud. The things that are to be. With new life in her breast! As we hasten by today.